The Peralta Community College District is pleased to announce that the Board of Trustees and Chancellor José M. Oriz have approved the selection of Marie Hampton as The Peralta Colleges’ new Director of Purchasing Services. Marie previously served as a Buyer within the Purchasing Department, and has over 27 years of purchasing experience, most of which has been within the California community college environment. As the Purchasing Director, Marie will be assisting the colleges and District with general procurement functions, which include the processing and issuance of purchase orders, oversight of all District bids for services and supplies, management of all inventory, contract management and general vendor relations. 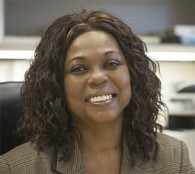 Marie began in her new position at the beginning of the year. Let’s all welcome Marie in her new assignment.